Situated in Rishikesh and registered with the Yoga Alliance, Raj Yoga was made with the point of joining ancient yogic wisdom into the current life, and we enthusiastically trust that yoga ought to be available to all. We continue enhancing the programs to coordinate our most certify standard to affirm the best yoga instructors in the worldwide yoga industry. One of the primary things you'll see on entry is our wonderful yoga lobby. It is perfectly set inside our rich gardens and loaded up with all the required gear and yoga apparatuses that you would need from a yoga school. Our studio highlights agreeable wooden deck and quiet environment, the ideal place for you to give up, unwind and develop into your yoga preparing. Courses Offered: An alignment based hatha yoga teacher training course, affordable, intensive and residential yoga teacher training in India based on Ashtanga and Iyengar style, designed for beginners and advanced level practitioners at Raj Yoga Rishikesh, Rys 200 registered with Yoga Alliance. Residential, affordable and intensive hatha yoga instructor training in India dependent on traditional hatha yoga and hatha yoga in iyengar/ashtanga style in 2019, registered with Yoga Alliance - USA, at yoga school Raj Yoga Rishikesh connect with Starlim India - Rys 200. This special week-long yoga retreats will give you the opportunity to live in a spiritual environment and practice yoga alongside holiday activities like rafting, trekking and local sightseeing. 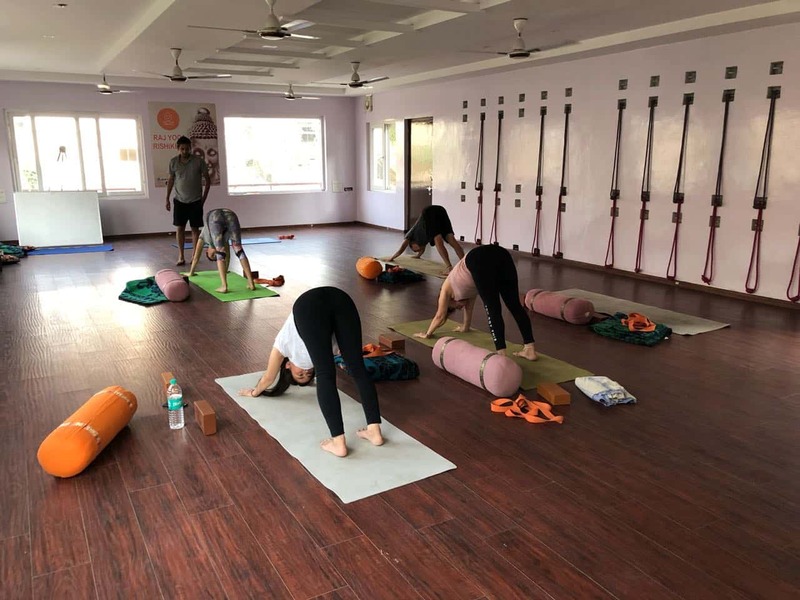 Yoga courses for beginners, yoga retreats and yoga teacher training in India registered with Yoga Alliance at some of the best yoga schools and ashrams in Rishikesh - Rys 200, Rys 300 & Rys 500. Copyright © 2005-2019 | All Rights Reserved by Starlim India - Rishikesh Pvt. Ltd.